My mom is an incredible gardener. Over the years my mom has transformed several drab front yards, and rocky/hilly/untamed backyards into gardens worthy of a magazine cover. My mom loves flowers, butterflies, and birds, and has spent thousands of hours creating gardens full of all of these. Late last summer my mom (and dad) hosted a backyard BBQ and asked if I could bring a plate of cookies to share. I gladly agreed, and it took little time to decide on the designs. Bright flowers and vibrant butterflies seemed the perfect fit. I have since made these designs for a few other occasions, and they are always well received. The colorful palette is perfect for a birthday, get well and most any spring or summer party. 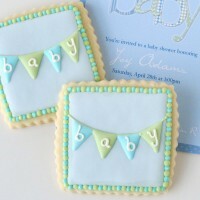 These cookies and the tutorial were recently featured in The Party Dress Magazine. You can view the magazine on-line or purchase a copy HERE (you’ll find my cookies on page 73). This issue is full of gorgeous party and entertaining ideas, and would be a beautiful magazine to keep for future reference. 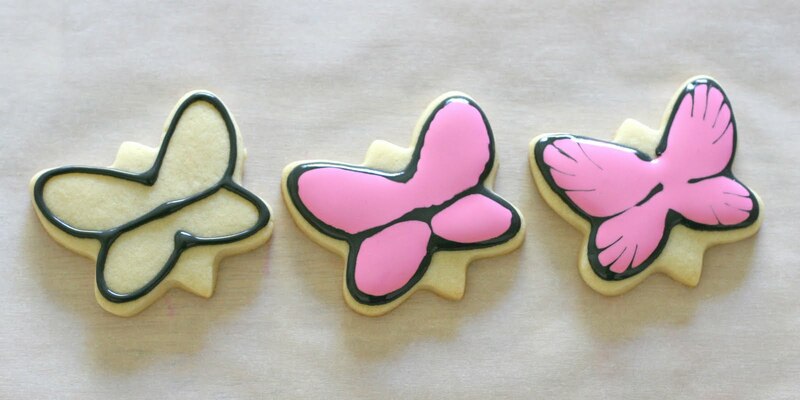 Would you like to make some pretty butterfly cookies? You’ll need some baked and cooled sugar cookies (my recipe is HERE). You’ll also need a batch of royal icing (my recipe and instructions are HERE). To make this set of cookies I used bright pink, yellow and orange (thinned to about the consistency of corn syrup), black (thinned the same as your main colors), and accent colors of yellow and bright green (in a stiff consistency). Step 1. Pipe black icing around the edge of each wing. Step 3. While the icing is still wet, drag a toothpick from the edge of the wings, toward the center of the wings (as shown). Set cookie aside and dry fully (6-12 hours). Step 4. 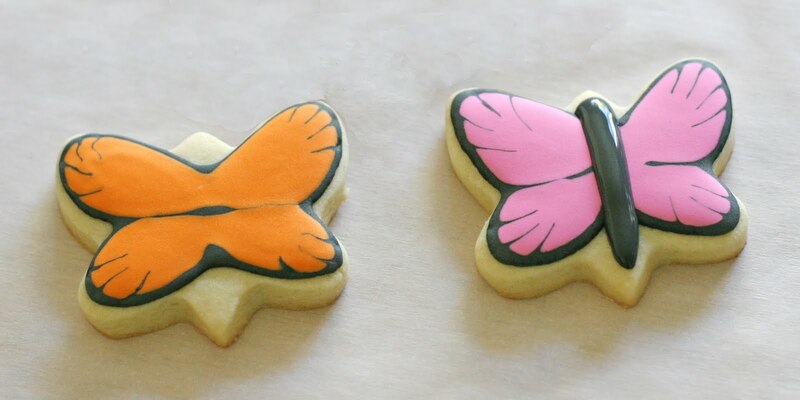 When the icing on the wings is completely dry, add black icing down the center of the butterfly to create the body. Step. 5. While the black icing (body) is still wet, cover with white sanding sugar (if desired). Step 6. Add dots of an accent color toward the edges of the wings. Allow to dry, then share with someone special. Happy summer and happy cookie decorating! 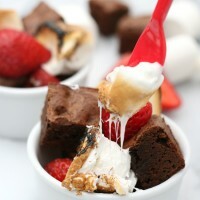 These are so beautiful I will definitely be adding them to my list of things to try. Thanks so much. I love the flowers too – so lovely. I love your cookies! So beautifully decorated! Wow…those butterflies are amazing! You are incredibly talented. So glad I found your blog! When looking at Foodgawker the little girl spotted your sugar butterly cookies. She asked me to find out where the recipe was and looking through your website, she spotted some other bikkies she liked. She says: I like yore cooking. My favourite cookes are the pink and purpel krounes. So beautirful! I am learning so much from your tutorials and love your blog! 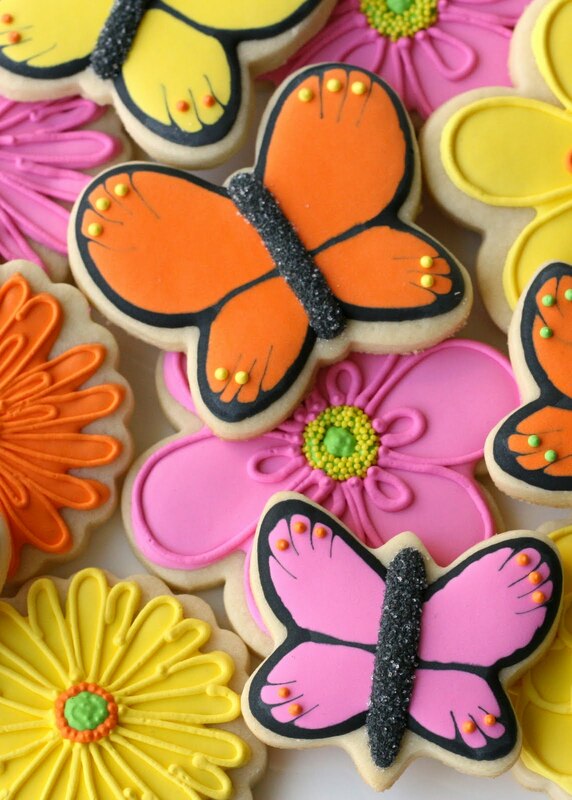 I am amazed in how you transform a cookie into a work of art! 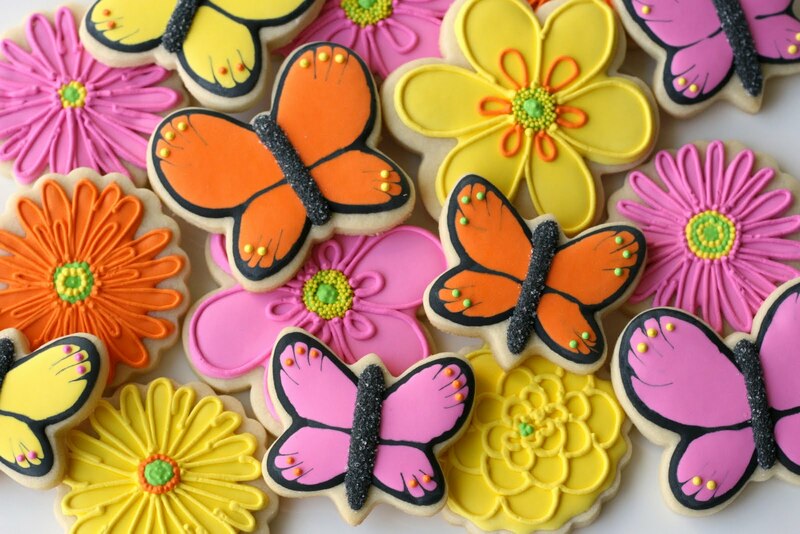 The orange and black ones look amazing… so much so that it would be hard to eat due to the insect nature of it. But those flowers I could eat for sure! 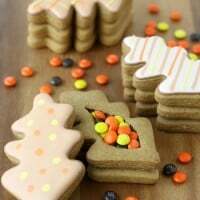 I'll be doing some cookie magic (hopefully) next week… hopefully if I keep looking at this blog by osmosis I will soak in some of your talent! I always try to get too creative with my butterflies (and they aren't pretty LOL) but I am LOVING these. So simple and SO cute. The sugar really makes them stand out. 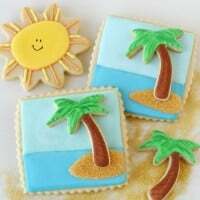 I know I sound like a broken record, but your cookies are the picture of perfection! Congrats on the magazine feature! These are gorgeous but really almost too beautiful to eat! Love love love those butterflies! I've even pinned them on pinterest. Hoping to try them myself sometime soon! I just found your blog and have to say you are amazing!!! So beautiful. Love the colors. You are amazing! Thanks for sharing! These are just gorgeous! Love those colors and the black really makes them pop! These are so gorgeous – perfect for summer!! Can you please post the picture again? Hi there!! I love your cookies. 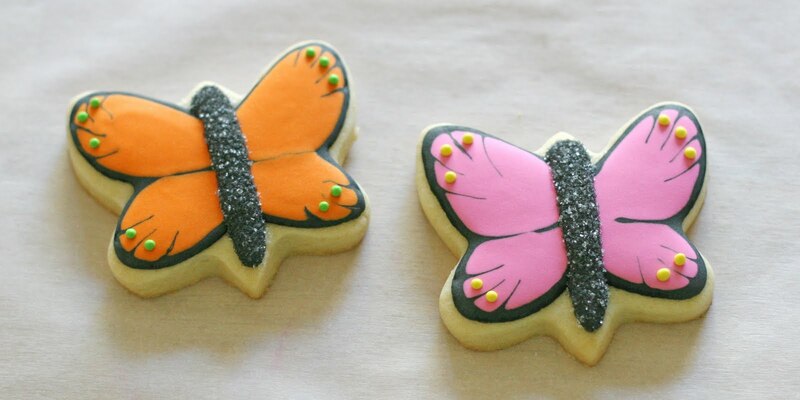 This is a pretty old post but I wanted to let you know this: If you google your post as beautiful butterfly cookies, you’ll find your photos, I found them that way anyways. Congrats on your skills!! !